I always thought the definition of inflation as simply an increase in the money supply to be a facile definition, since despite an increase in the money supply leading to an increase in general prices in the long-run, it fails to address things that are more relevant to one’s particular daily circumstances, such as being underwater in your home mortgage because of rapidly falling prices. As it turns out, Austrian economist Dr. Walter Block also agrees that the Austrian School definition is inadequate. In November 2010, Gary North made a big deal of correcting Ellen Brown’s mistakes in her book, Web of Debt, despite making some of his own big whoppers over the years. 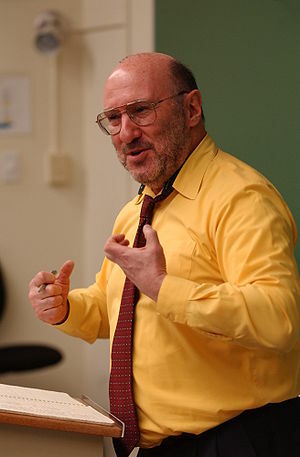 On June 8, 2012, Austrian School economist, Dr. Walter Block, pointed out errors in Gary North’s article, Economists vs. the Gold Standard. I am glad that fellow Austrian economists are challenging each other publicly on controlled, friendly forums like LewRockwell.com, after giving the impression over the years that they have all the answers for what ails us, economically. I had previously pointed out Austrian economist George A. Selgin’s criticism of Mises’ work concerning a gold standard. For my critical analysis of Gary North’s previous claims, see here.